”insane/ retarded/ wicked/ psychedelic/ fugged/ unbelieveable/ monstrous/ hilarious/ mind-numbing piece of music” reminiscent of Super Mario Brothers’ video game soundtrack, The Velvet Underground, John Coltrane, Philly Joe Jones, Glen Buxton (Alice Cooper guitarist), Frank Zappa, The Shaggs, The Silver Apples, Caribou, Faust, Charles Ives and Paul Buckmaster (orchestral arranger best known for work with David Bowie, Elton John and collaborating on Miles Davis’ On The Corner). 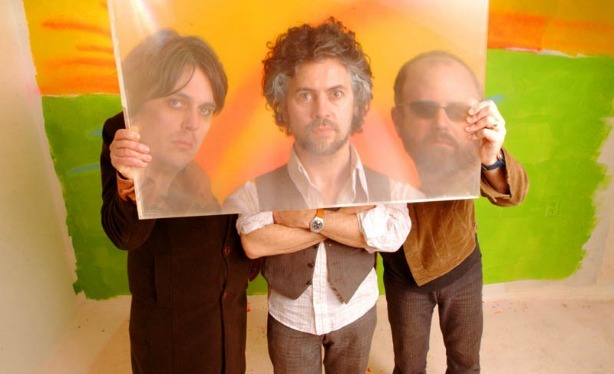 If you got any plans tonight, you should cancel them , The Flaming Lips’ six-hour song has made its entry into the world. 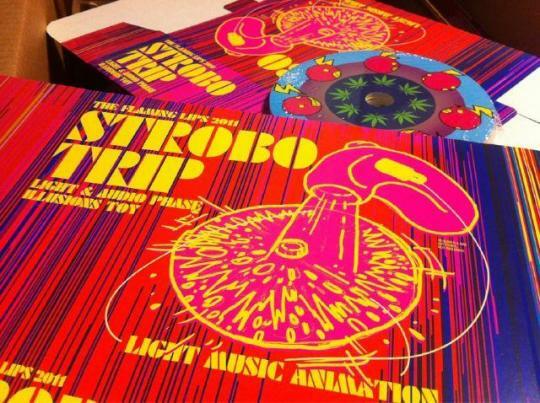 Exactly one week after its completion, Wayne Coyne personally sold the band’s first batch of Strobo Light Toys at Portland’s Jackpot Records . 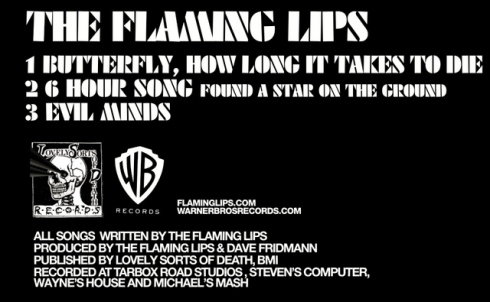 “I Found A Star On The Ground” features the names of individuals who donated $100 to the Oklahoma Humane Society and the Academy of Contemporary of Music , and two additional, much shorter songs, “Butterfly, How Long Does It Take to Die” and “Evil Minds”, are being sold alongside a limited-edition Strobo Trip Light Phase Illusion Toy.